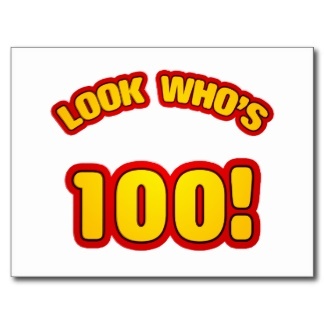 The Structure and Surprise Blog Turns 100! The book Structure & Surprise was published in (gulp) 2007. I launched the Structure & Surprise blog two years later, on February 9, 2009–almost (gulp, again) five years ago. The blog came about for one main reason: prior to the publication of the book Structure & Surprise, the turn received sporadic attention, and so the main drive behind the book was to make that sporadic attention systematic–the blog has been an extension of that effort. I’d always thought that the book Structure & Surprise was the beginning, or a next phase, of a conversation–and so the blog became the place where I could continue that conversation. More specifically, there was material that was left over from the book, material–such as additional supplemental poems–that was useful, but had not been published in the book; there were more structures to discuss than those in the book; I kept coming across resources focused on the turn about which I previously had not known (and, over time, I found that I was creating more and more of my own resources for talks and workshops), and I wanted to share these; and I wanted a space where I could post ideas for teaching the turn, for incorporating the turn into the classroom. The blog, I think, really does gather together a great deal of disparate work on the turn. It works to reveal the significant, if sporadic, work that already has been done on the turn, pointing to essays that have addressed the turn–under its various names, including Ciardi’s “fulcrum”, Rosenthal’s “torque,” Lazer’s “swerve,” and Ullman’s “center”–in Turned onto Turns: Comments on Structure and even, in The Self-Reflexive Turn, pointing to poems that use the turn self-consciously, identifying its own turn even as the poem is taking it. It’s also been my great pleasure to publish or republish work by colleagues–such as Bradley Paul and Erin Stalcup–and former students–including Vera Miller, Emily Susina, and Anjelica Rodriquez, Stephen Whitfield, Brittany Gonio, and Colleen O’Connor–that resonates with, or even uses, the turn. Even though the book Structure & Surprise offers a section called “Inspirations, Guides, Exercises,” the blog tries to go that extra step to offer resources and ideas for teachers so that the turn may be brought easily into the classroom. It is my belief, and my experience in the classroom has proven to me time and again, that the turn is a powerful pedagogical tool, one capable of so much: of showing how a poem is not a statement, but rather an action; of getting students to focus on the effect of the poem, and helping them to revise more efficiently to create greater effect; of offering whole new kinds of exercises for students. It was my great pleasure to find out that I was not the only one to think this–Scott Wiggerman used the turn to power a workshop he taught, and he was kind enough to let me post some of the work that emerged from that experience. And the Structure & Surprise blog has spawned one spin-off blog: from blog page Voltage! emerged the new web site Voltage Poetry. Co-editor Kim Addonizio and I launched this online anthology of poems with great turns in them. For Voltage Poetry, contributors submitted a poem (by someone else) that they thought had a great turn (or turns) in it, and then they composed a brief reflection on that turning. Voltage Poetry already has published approximately 75 contributors. And there’s still more to come. I have the idea for at least one important new structure to add to the list of New Structures. Using Mark Halliday’s review of the book, I’ve been meaning to write a consideration of the very self-conscious turning in Tony Hoagland’s Unincorporated Persons in the Late Honda Dynasty–I hope to get to that in the not-too-distant future. I started a three-part discussion of Keats and turn, but I only got one part in. Over at Voltage Poetry, we’re planning another round of publication this year, and possibly a print anthology (knock on wood). And even more: I keep discovering that others are interested in and talking–or have talked–about the turn. Just in the past few days, I discovered Leslie Ullman’s incredibly interesting takes on the turn. There certainly are more such documents out in the world. Or (hopefully) there will be. And when I find them–or when I’m pointed to them–I’ll post them. So, if you’ve been a reader of the Structure & Surprise blog, I hope you’ll keep checking back. If this is a first visit to this blog, I hope you’ll explore, and let me know–via comments or email–what questions or further ideas you may have. Let’s keep the conversation going–at least for another 100 posts. 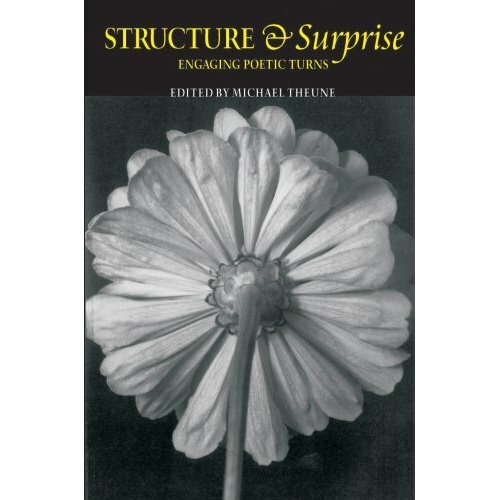 Congratulations, Structure and Surprise Blog!